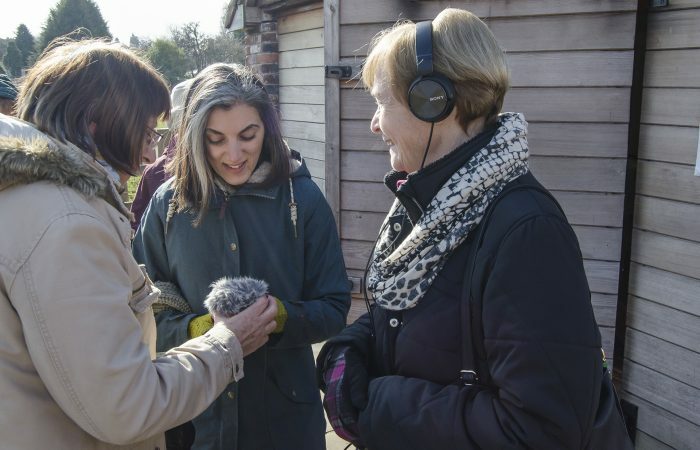 I’m really excited to be working on the for-Wards project as BCMG’s composer – I’m looking forward to working with the community groups and uncovering stories and sounds from the distric of Yardley. Before Christmas I spent a couple of days getting to know students at Kimichi school in Acocks Green. 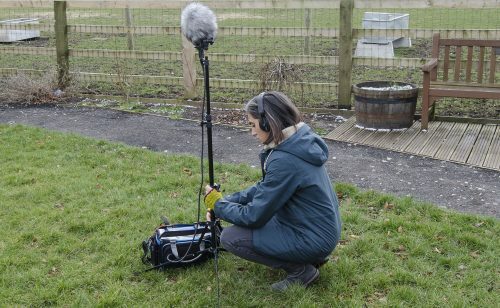 We went out on a couple of soundwalks and it was great to observe them increasing their engagement with everyday sounds around them as well as hearing stories about the area from their perspective. We spent a cold couple of hours outside and escaped the traffic exploring the natural habitats around the canal and then immersed ourselves in the powerful sounds of the train station. I’m looking forward to heading back to work with the group in some composing workshops soon. This week, I’ve been working with a craft group as I start ot uncover the sounds of South Yardley. I’m already starting to get an insight into this ward – I’ve been invited to talk to members of the group and was have already been welcomed to a WI meeting to make a recording of a rousing version of Jerusalem. I’ll soon be heading out on a longer walk to explore the area with a few of the members who have there for decades and I’m really looking forward to discovering the ward through their memories and reflections. I’ve also had the pleasure of attending a Beavers and Cubs meeting. I’ll be working with a small group of Beavers who will be mapping a route for our soundwalk through Sheldon for me! To be working with such a diverse groups is thrilling and I can’t wait to see what we uncover and how it unfolds.